Unleash Your Mind, Unleash Small Business Growth - Brilliant Breakthroughs, Inc.
Now, we unleash our BrilliantBizBook app by Unleashed Mobile Apps. Unleash YOUR Small Business Growth by learning what the power of a strong and economical mobile app can do to improve YOUR Business Performance. On November 8, 2017 a group of 10 Brilliant Practicing ExpertsTM lead by Maggie, will be releasing their book to coincide with National Entrepreneurs Month. It is written specifically for Small Business Owners, by Small Business Owners to help you learn how to win BIG at small business in the 21st century! 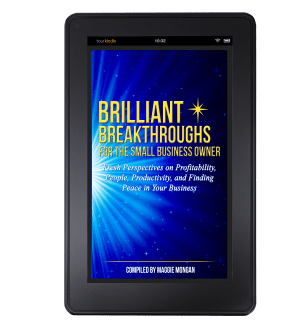 Want to learn more about how to get your hands on the book: Brilliant Breakthroughs for the Small Business Owner: Fresh Perspectives on Profitability, People, Productivity, and Finding Peace in Your Business, AND our new app for the book to directly access to our authors, AND our podcast? When you go to: http://bit.ly/BrilliantBizBook you’ll get 100 Tips for Small Business Owners Success Report to start working into your business until the book comes out! To give you a glimpse of a couple different chapters, I invited our co-authors to write a short guest blog to learn about why their chapter topic is important to YOUR Business Success. 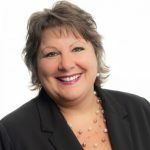 Nancy Lucchesi, of Unleashed Mobile Apps, will share the how it’s very economical to attract and retain customers with an app for your business. I’m so convinced, this book series has an app dedicated to it: BrilliantBizBook. Go check it out! Brilliant Breakthroughs for the Small Business Owner book is almost here. The release date (November 8, 2017) is rapidly approaching. In the chapter, Unleash Your Mind, Unleash Your Growth, you learn ways to open your mind and view things in your business to become powerful. Just the slightest change will bring big results to your business. AHA! : For example, often people dismiss the thought of having a mobile app for their business because it is too costly. They conclude this with their mind closed – having never investigated the capabilities, much less the cost. Being a small business owner myself, I spent diligent energy to develop a way to make mobile apps powerful AND economical. From that, Unleashed Mobile Apps was born to serve the entrepreneur. No longer are mobile apps only available for the big budget companies. The small business can capitalize on the power this valuable tool possesses. Are you ready to unleash your mind? Example 1. What do all business owners want? Right, to keep their customers coming back. A mobile app does exactly that. Your business’s mobile app can help you build and strengthen your relationships with your customers. There are several ways to accomplish this through a variety of features. The biggest key to a successful mobile app is to keep your content fresh and dynamic when reaching out to your customers. Apps work, when you work your app. Example 2. Do your clients schedule appointments for your services? With a mobile app you can turn cancelled appointments into paying customers. With a simple push notice, your dead time is reduced and your calendar filled. Example 3. Are you an inventory based business? Occasionally do you find yourself with extra stock taking up shelf space or about to spoil? Turn your extra inventory into extra income. A quick notice to your loyal customers will spark activity cashing in on your excess product. With the loyalty feature, they’ll keep coming back. Example 4. Is your marketing passive, not really giving you a great return on your investment? A mobile app can move your marketing from passive to powerful. With a fixed monthly investment, you control your marketing making it prevailing. Your efforts are targeted not only to your ideal customers, but potential customers who are already interested in your product. How much more powerful can that be? With the power of a mobile app your business will “App-solutly” stand out from your competition. The key to a successful business is building a solid relationship with your customers. Engaged customers keep coming back. This makes your business grow month over month, and year over year. Are you ready to Unleash Your Mind, Unleash Your Growth? SMALL BUSINESS SUCCESS NOTE: Developing an app with Nancy is very easy – she makes it easy. Nancy’s team is also very efficient. I was amazed at how quickly we developed this app dedicated to our book series and for you to have on-demand access to our co-authors immediately! Thanks Nancy.